I recently read an article by Bert Farias on the Charisma News website entitled The Corruption of American Christianity: The Evil Agenda to Destroy America. In it, the writer shows how Marxist and Communist ideologies have gained a foothold in many churches and denominations throughout the United States. Through a mixture of truth and error, the promoters of this leftist agenda not only sabotage the Gospel, but also the scriptural purpose of the church. But why do some Christians fall for such errors while others immediately see the subversive intent of such ideologies? Why do so many elevate a purely social agenda above the Gospel? These questions repeatedly came to my mind as I read the article. What Makes Believers Susceptible to Socialism? Initially, I thought of several good reasons that make churches and denominations susceptible to Socialism. For many denominations, the fall into this error comes easily since they had long ago departed from proclaiming salvation by grace through faith. As a result, the adoption of Socialism is just one more step away from what the Bible teaches about Jesus as the only way to the Father (John 14:6). Another reason for the lure of Marxism springs from a confusion of the biblical roles of government versus those of the individual believer. For example, if one also applies the mandate of the Good Samaritan to government as many preachers do today, then is it not the duty of elected leaders as well as believers to help all the unfortunate that come their way? For many, this misunderstanding opens to the door to errant world views. Marxism contradicts many clear teachings of Scripture in several ways and as such can never be compatible with Christianity. History proves this as well; Socialism always leads to the persecution of both Christians and Jews. Always! However, it’s more than that. There is one particular error that more often than not characterizes the churches most likely to adopt a Socialist viewpoint. It’s amillennialism; the denial of Jesus’ return to Israel to reign for a thousand years over all the nations. By amillennialism I mean any system of beliefs that denies Jesus’ future claim to the throne of David, believes God has forever rejected Israel, regards the church as the new Israel, and rejects the literal interpretation of Revelation 4-20. The more radical (and heretical) forms of this viewpoint reject our future bodily resurrection and teach that God has already fulfilled all biblical prophecy. Before you rush to send me a disparaging e-mail, please allow me to explain how those who reject premillennial teachings become more susceptible to worldviews such as Socialism. How Does Amillennialism Open the Door to Socialism? I am sure many of you know amillennial teachers and writers who are biblical in all other ways and yet encourage you in your walk with the Lord. I do not seek to discredit their impact. My focus, however, is to show how the teachings of amillennialism eventually lead to further erosions of the Christian faith. Rather than make this article unbearably long, my intent is to write four more articles on this topic showing in more detail how this happens. Below is an overview of what these posts will cover. 2. Denying the literalness of the tribulation distorts the biblical view of history as well as the purpose of the church. Rather than pay heed to a future day of judgment upon the world, many today teach that the world will get progressively better with the church eventually converting all the nations to Christ. When this happens, the church will rule over a righteous kingdom before Jesus returns to earth. Though not technically amillennialism this theology is similar in that it denies the literal interpretation of all passages related to the tribulation as well as to the future of Israel. Though you might think it’s extreme, this Dominion theology (as it is called) is perhaps the fastest growing belief of our day concerning the end times; many large well-known churches advocate it. Can you see how Socialism fits well into this rapidly spreading belief regarding the end times? 3. Denying a literal millennium negates many of God’s covenants and promises. If the Lord can default on His Word to the likes of Abraham and King David, then does not the pressure fall on believers to behave in such a way to maintain their own salvation and not suffer same fate? In their efforts to “do good things,” many fall for the lie that Socialism is a great way to help others and accomplish biblical justice for all. I am not at all saying that all amillennialists see things this way; I am just stating that their beliefs can lead to this desperate type of thinking. 4. Church history confirms that amillennialism leads to other serious errors. As we look at the history of the church, we see that the long-term consequences of rejecting premillennialism resulted in many disasters such as the perversion of the Gospel message as well as the biblical purpose of the church. My intent with future posts is to provide further detail for these points thus demonstrating why premillennialism matters. The results of forsaking it are evident; they open the door for all types of other errors. Note: Please return to this blog for these future updates demonstrating the importance of premillennialism. They may or may not show up in your Facebook feed or on other sites you visit. 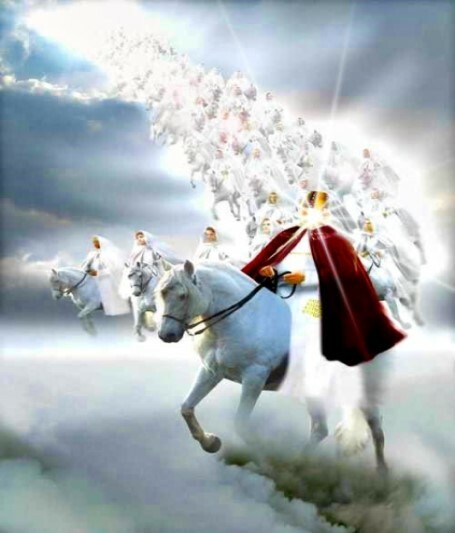 Newer PostIs Belief in the Rapture Relatively New?